In most of the testing scenarios, we need to connect our products in to a secondary user store which is ReadOnly or ReadWrite Ldap User stores. 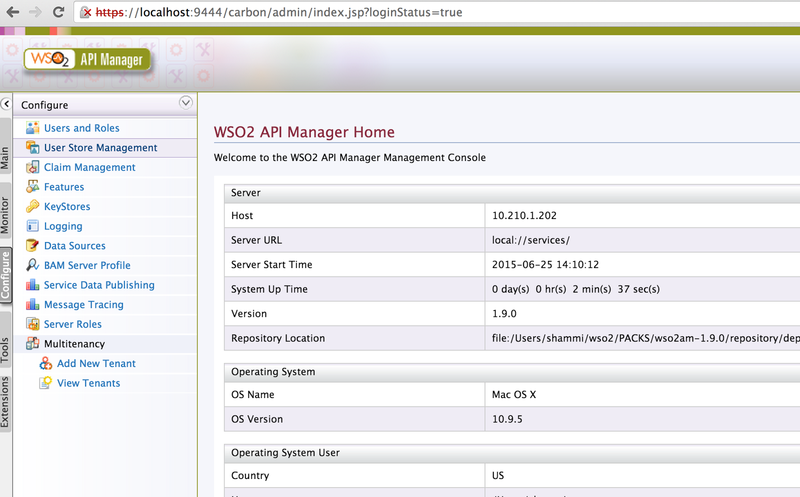 This is a simple way to get it done with WSO2 Identity Server. 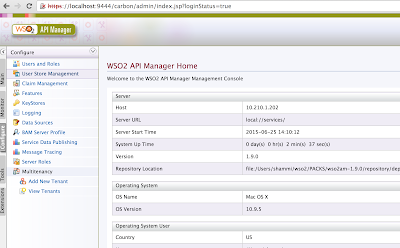 Not as other WSO2 products, IS ships LDAP User store as it's primary user store. So if we need to point any of the other products in to a LDAP secondary user store, we can easily use WSO2 IS for that. 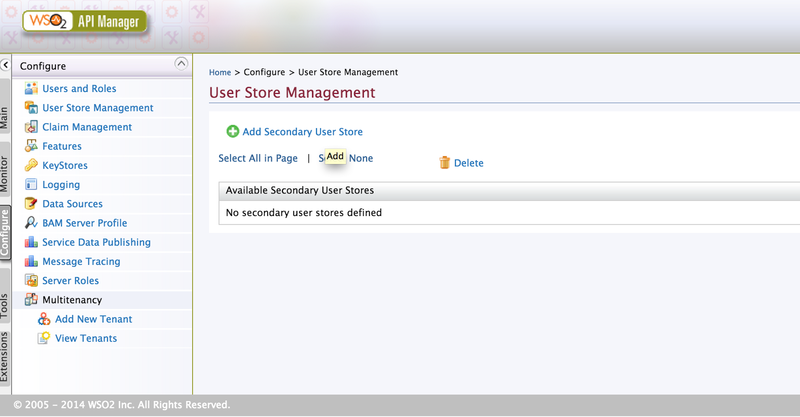 From the left menu , click on "Configure"
Click on "User Store Management"
From the drop down at the top, select "ReadOnlyLdapUserStoreManager" as the user store manager class. You can find these configurations in user-mgt.xml file located in "wso2am-1.9.0/repository/conf" folder. But you need to focus on the parameter "User search base". By default it is given as "ou=system". 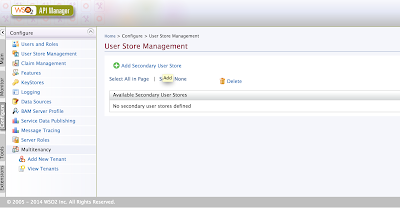 But with that you ll not be able to view the users of the secondary user store. Here i have added the correct parameter value " ou=Users,dc=wso2,dc=org"